Maximum tool bit size: 5/16"
Approximate shipping weight: 90 lbs. First lathe first time using a lathe. I have no clue what I'm doing. But as with day and age and bit of online research and YouTube watching I got the info I needed. I haven't attempted anything big. Mostly small stuff and that's what I needed it for. So far so good it does what I need. This product is acceptable. You cant expect much for the price but overall it works. Lots of little tweaks needed that are not always easy to work with. Good starter lathe and you are not out much if you crash it. I'm not a machinist, just a hobbyist, but I have some pretty good impressions from buying this unit. 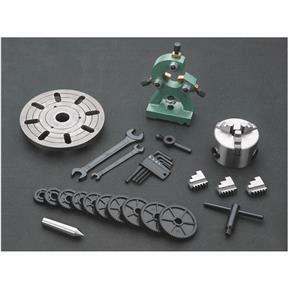 My first modification was a QCTP kit from littlemachineshop along with carbide insert tools. I have only had hot rolled steel to work with so far. Initially, it was leaving a rough finish, but once I started getting comfortable with higher speeds and taking deeper cuts, it started leaving a nice surface. 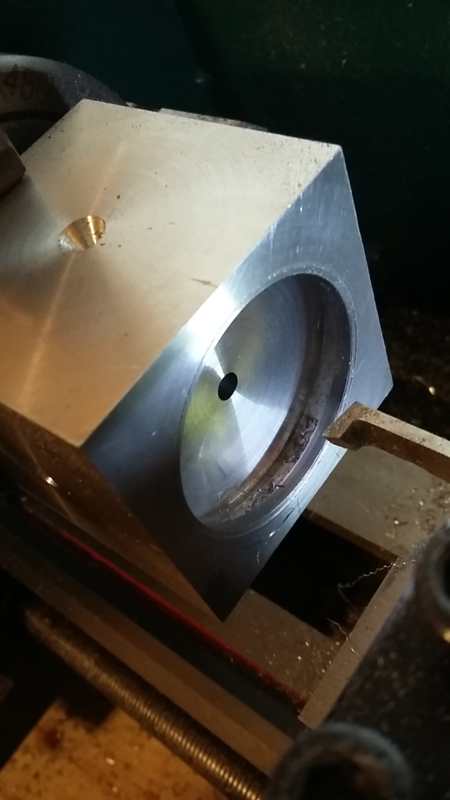 I found that cutting 0.020" worked best, and the machine has plenty of power for it. 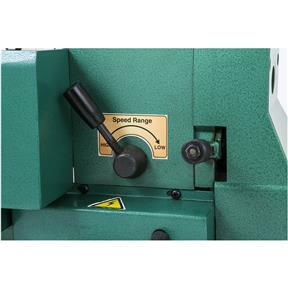 I've only caused it to fault out 3 times- once while taking too deep of a cut, too fast, once while making a parting cut too fast, and another time while engaging the 1/2 nuts while the machine was rotating the wrong way and running my tool into a shoulder. None of these mistakes resulted in damage to the machine or gears. After cleaning and setting up the machine, I followed the instructions for aligning the tailstock, but found that everything was about as perfectly aligned as possible already, the cuts were also parallel for pieces that I tried up to 4" or so. 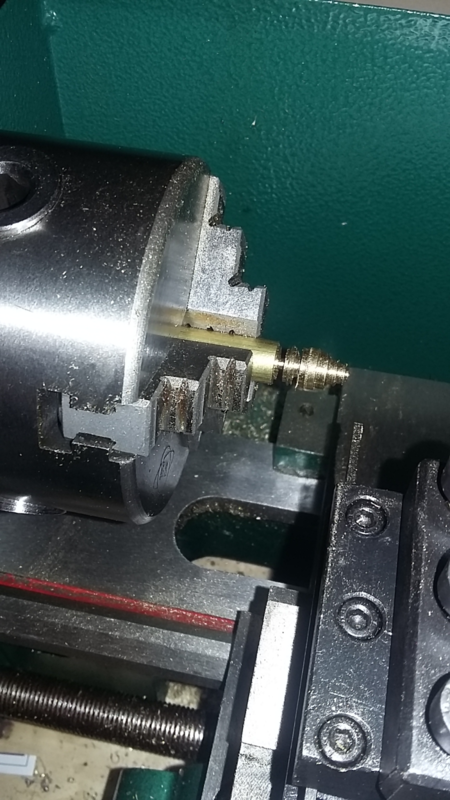 The gibs on the compound needed a little adjustment, and the chuck still shows 0.004" runout- I might rig up an ersatz tool post grinder with a dremel tool to try to get better runout, or I might just get a 4 jaw chuck. I really like it and now have my very own lathe (always wanted one)! Great product...great packaging...great service! Received this lathe undamaged and fully operational...totally satisfied! I've had this lathe for a month and I am very pleased with it. So far I have cut brass, cast iron and tool steel. I was very hesitant about this purchase initially due to all the negative reviews i read on the internet concerning these Chinese lathes. 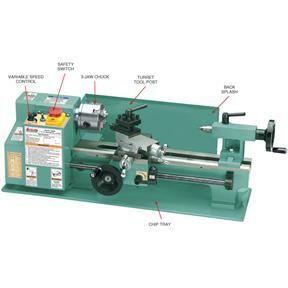 After spending way too much time debating the pro's and con's of these lathes I decided to purchase the G8688 after reading the instruction manual for it - you can download it from the web site. i was very impressed with it specifically how they provide instructions on aligning the tailstock which no one else did. Being a beginner and never owning a lathe before, i found this very helpful. I have two recommendations to get the most from this lathe, the first thing you should do is take it apart a clean it to get the red shipping grease off it and oil it throughly. Be doing this it will help you understand how the lathe works. The second thing would be to spend some time adjusting the gibbs. I spent most of the day doing this and it paid off with having a smooth moving apron and cross slide. This is not a Myford or a South Bend, but with good technique you can get excellent results. I am a licensed firearms manufacturer, mechanical engineer, journey machinist and gunsmith. I bought this lathe to make screws for restoration of vintage firearms. First project went smoothly. Turned diameters to .0005" and chased threads to fit using heat treated 4140 bar stock. Before using I added oiling holes to both of the bearing blocks for the lead screw to ensure through lubrication. Otherwise it just needed a through cleaning and lubrication before use. You can't go wrong with this lathe. It is well-made. Just be careful about the threading specs. I got the 16 TPI lead screw which can cut inch threads. If you want to cut metric threads you must have the 1.5 mm lead screw. Unless you can find some seriously odd change gears, and even then it might not work perfectly. The manual and the sales literature do not make this clear. Only two minor complaints. There is no back gear for very slow turning at high torque. But for the money I wouldn't expect to get one. I made a removable hand crank for the outside end of the spindle to handle that problem. And there is no guard for the lead screw. Some other sellers of this lathe include a guard, but they don't include the steady rest, so I am happy with my purchase. Highly recommended. I've had this lathe for about a month now and I am very happy with it. 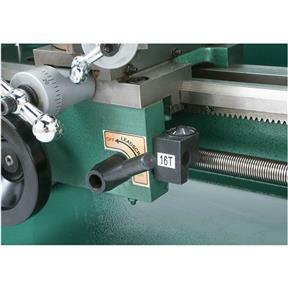 I am new to lathes and I've found this one very easy to use and very easy to learn on. 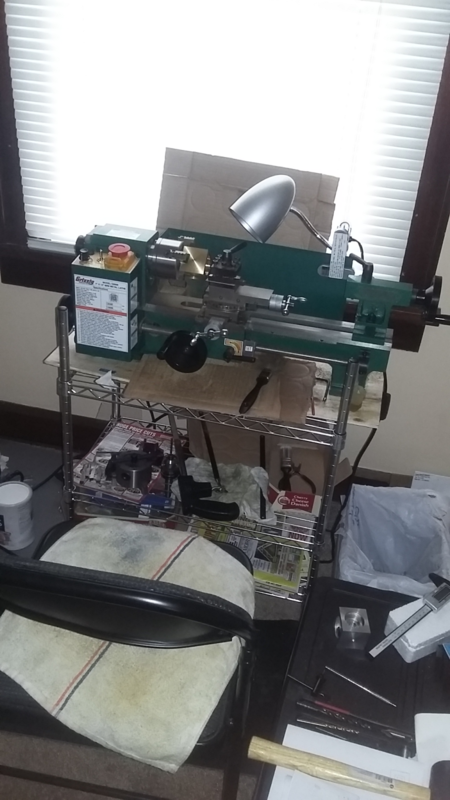 I'm just a "hobby machinist" and this machine makes the hobby easy. I've wanted a mini lathe for a long time. Finally pulled the trigger on the G8688. Setup was perfect right out of the box. Fit and finish are very nice. I'm well pleased with the lathe and highly recommend it for anyone looking for a starter mini lathe. The lathe arrived in excellent condition. The well planned manual is very easy to understand. Having been a machinist back in the 60s, it's been a lot of fun playing around with it. Ive had the lathe for a little over a month now, its been used quite a bit, Ive even threaded a few things, Im really surprised at how nice this thing cuts and threads for its size. I wish I couldve gotten the 7x14 but they were out of stock, but Im real happy with this machine. I like this lathe. But I've had back luck buying parts because the recommendations tend to be incompatible. Well it did take some doing to get this lathe adjusted so that the headstock and the tailstock lined up to within one to one and a half thousands. It's still not perfect but what can we expect for a small machine made in China. Too bad Germany isn't in the business of making small lathes like they used to do. Oh well, it seems to work ok although I do get a lot of chatter no matter where I adjust my cutting tool height. I'll probably order the tapered bearings for the headstock and change those out. Satisfied? Yes but it would be nice if China paid more attention to detail and accuracy. Oh, and it took a few days to just get the cosmolene off the unit. It was in places that required a complete disassembly. 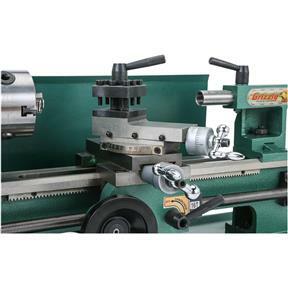 This is a great lathe, we absolutely love it. it is everything that you said it was and more!! 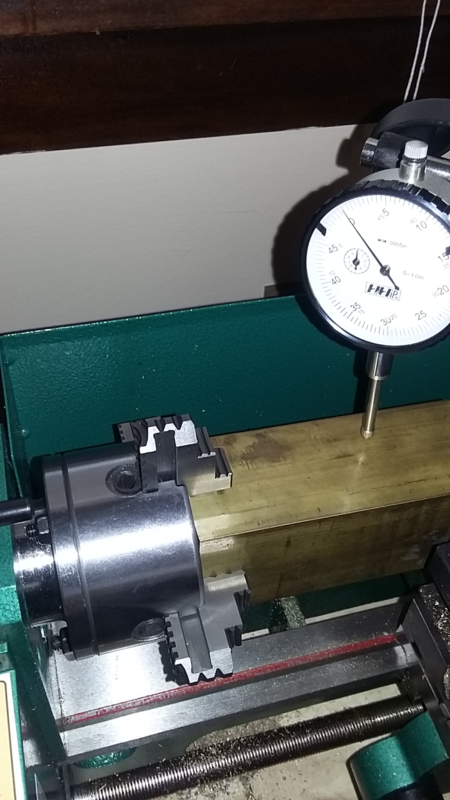 My research led me to believe that pretty much any mini-lathe was going to require tuning and adjustment before being able to turn out any usable work. That was not the case with this unit. After cleaning the shipping grease off and lubricating it properly, everything was tight an within spec right out of the box. No slop in the cross feed, no gibs needing adjustment, the runout on the chuck was good, tailstock and chuck centers lined up perfectly. Very pleased with this unit and when I caught the sale price it was considerably less than competing units. Highly recommended. I purchased this for my husband , and due to it being heavy ish he carried it for me he opened it and has used it and LOVES IT. Also talked to someone in customer service had a great experience! Love this product love this company. This is a good unit and works well for what it is intended. However, as I have stated previously I am not impressed with the freight company used to ship the item. That would be my hangup if I were to order in the future. 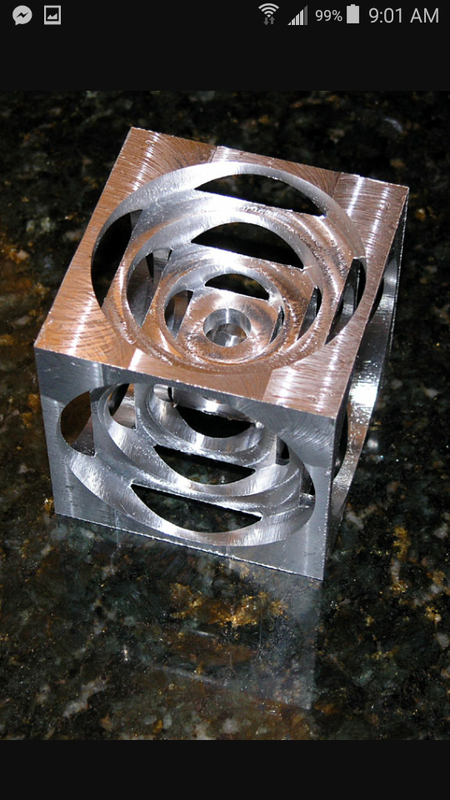 I am new to home machining, but I am a retired engineer so I do have some background. This is a very nice piece of machinery and perfect for my projects. I love the amount of third party support for this mini lathe. I purchased a milling adapter from LMS so I can now produce just about anything I might want to. The delivery process to a residence was totally painless too. It arrived nicely packaged with minimum cleanup to begin use. Fast shipping and perfect condition when it arrived. I love my new lathe it's small but it handles big job with ease. After setting it up and cleaning/lubing everything, I put hte small lathe thru it's paces. I find with a newly ground bit (5/16 HSS), you're not going to take heavy cuts. .020 on softer materials is probably the most youd do. there is a bit of flexiness to the compound, but if you work with aluminum, brass, plastic or wood, it's fine. It runs quiet and your cut will make more noise than the machine itself. Nice work sir! Impressive little machine! To start with, it is a pretty awful lathe. It certainly isn't built to last, and it most definitely could have been better. A lot better. However,lets look at a different lathe. The Myford Super 7 has been a standard of quality for some time now. 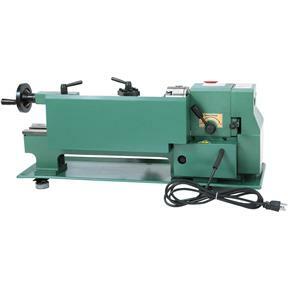 It's an excellent lathe, with lots of parts and attachments and tooling available. 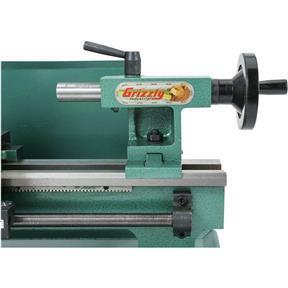 With The Grizzly 7 x 12, lathe, it + basic attachments and tooling will probably end up costing you around $1,000- 1,200. Compare that to the Myford's $10,000-12,000. If you buy the myford, who knows how much you will use it, or weather the attachments and tooling you buy will really be of any use to you. A Myford is not a beginner's lathe. 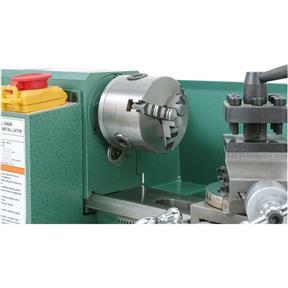 It may be an excellent lathe with lots of bells and whistles, but it may not do what you need. The grizzly 7 x 12 Is an excellent way to learn the basics and understand what you need and what you don't without spending some obscene amount of money in the process. 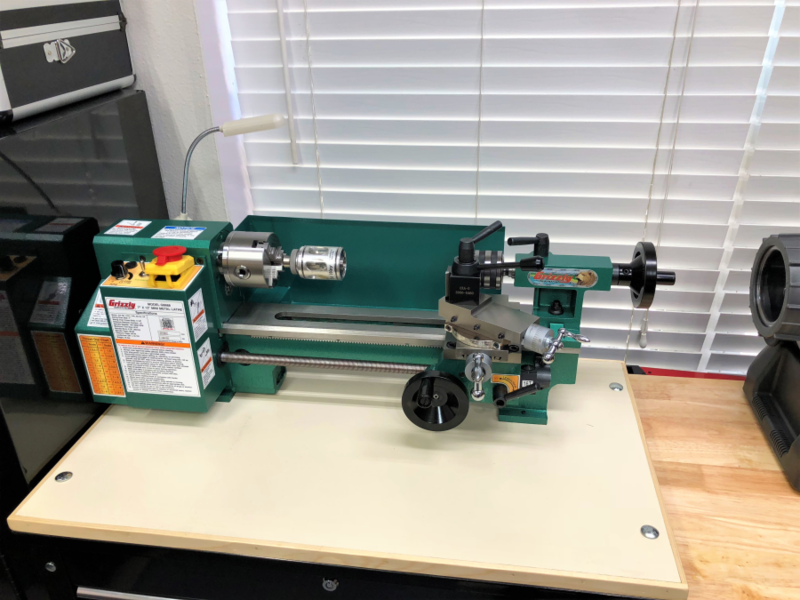 This lathe is pretty much the bottom of the market for something of it's caliber, and it is no where near professional quality, but it will do the basics pretty well. Buy this lathe, run it into the ground, then get a real one. Always going to be someone to complain.. It's not an awful lathe, perhaps you didn't do your research before buying it? If you wanted a better mini lathe, you should have sprung for an enco, or sherline, or even a south bend. What's awful about it? It does everything it's advertised to do, and it's a hobby lathe. Ftr, there are guys out there building high class miniature engines with these. They just took a little time and set them up correctly, and didn't ask it to do something it wasn't meant to do. 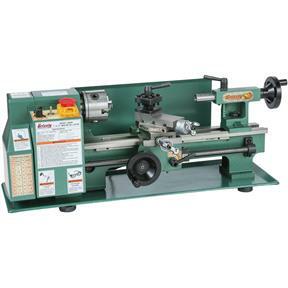 It's $500 and some change for this little lathe, another 50-100 in basic tooling and it's perfect for a hobbyist. Take care of it, and it actually WILL last. That's why you can still buy them used after 10 years. 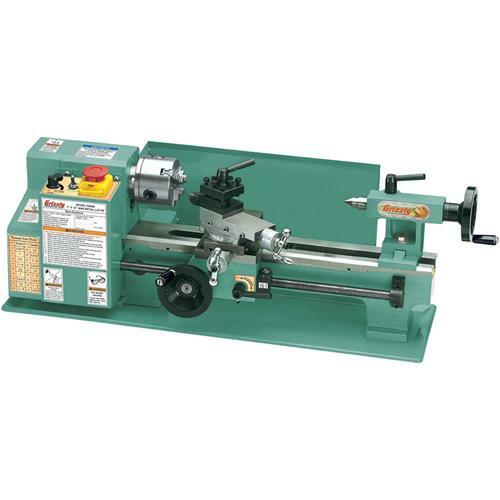 It's impressive that you have a $10,000 lathe, but comparing the two is like comparing a yugo to a ferrari. I'd still rather have a yugo than walk everywhere. It's cast iron in the places that count, it's rough cut in the places that don't count, and it's plastic in the places that are necessary, even if a gear or two is plastic. They're sacrificial, and quiet the machine down. To walk out of a store with a brand new lathe like this for under $600 is a steal. No I don't have one, I have a bigger lathe, but the comparison isn't fair for a review. Potential buyers are looking at it for a reason, they're low on space, don't want to spend a ton, and want something less intimidating to learn on. This lathe is outstanding. Cuts like a dream with good carbide bits and holds good accuracy. Dials are in .001 increments and cut .0012. Close enough for government work. Problem is tge 4 jaw chuck that goes to this lathe has been discontinued. Seriously grizzly bring the 4 jaw chuck back. 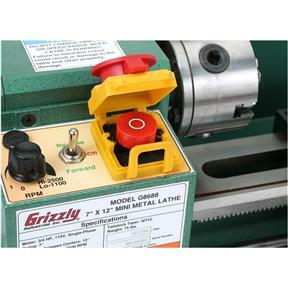 Grizzly is known for high quality shop machinery, and this lathe is no exception. It has a relatively small footprint, but provides exceptional capability for its small size. 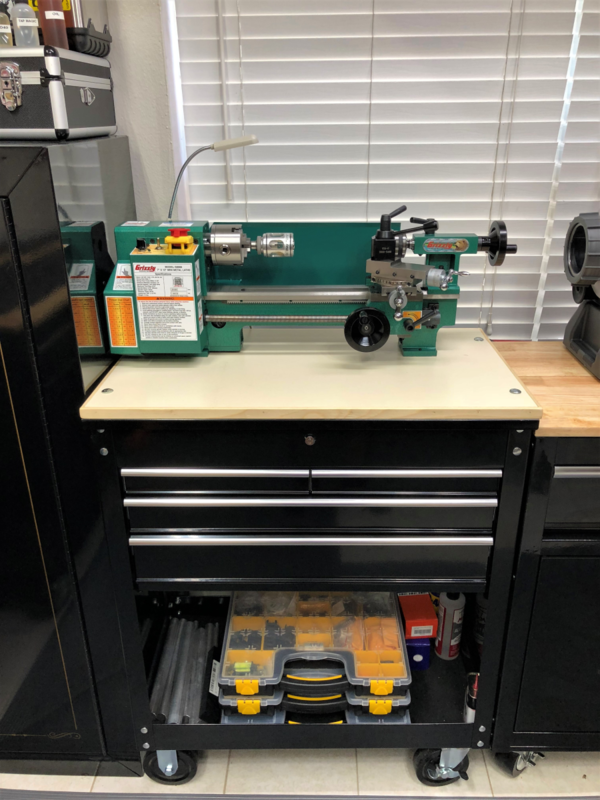 I needed a bench top lathe for making small parts for model trains, and this unit is a perfect fit at a competitive price. The G8688 7" x 12" Mini Metal Lathe was a good purchase for me. I'm new to metal working and have already broken a couple cutting tools and blown a fuse, but the machine was straight forward to setup and learn so I'm routinely producing parts with about 1 to 2 mil accuracy and expect to improve. The best part of the purchase was the Grizzly team! They went out of their way to make shipping and delivery a good experience for me. And, I had a technical issue just after purchase that they bent over backwards to make right. Excellent team!